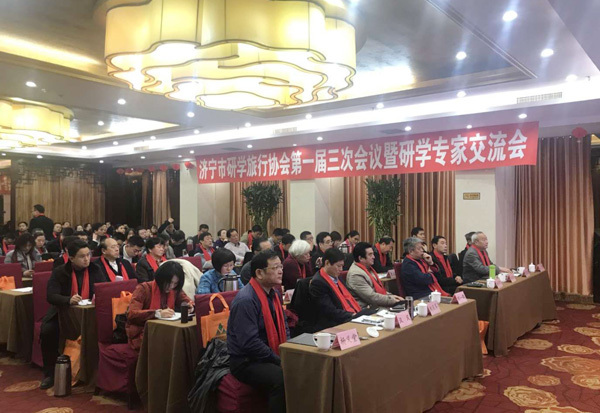 On January 18th, the third session of the first member general meeting and research expert exchange meeting of Jining City Research Travel Association was held in Jingwei Building of Jining City. Zheng Qingjun, deputy director of Jining City Culture and Tourism Bureau attended and spoke. 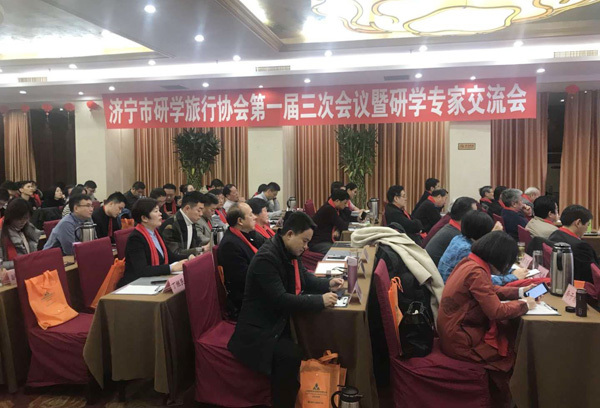 The Municipal Cultural and Tourism Bureau, the Municipal Tourism Industry Association, the City Research Travel Association leaders, and invited cultural celebrities and research travel experts, research base leaders, and some travel agency representatives attended the conference. 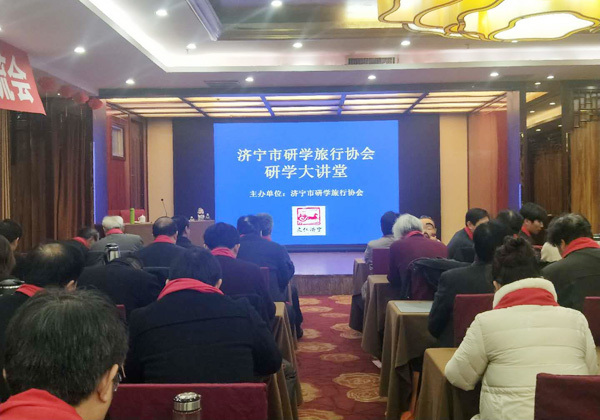 Yuangu Tourism Co., Ltd., a subsidiary of China Coal Group, was invited to participate. Fan Peigong, deputy general manager of China Coal Group, attended the meeting on behalf of the group. At the meeting, Yang Yan, president of the Municipal Research Travel Association, made a 2018 work report and a 2019 work plan. The consultants, experts, vice presidents, executive directors, and member representatives of the association exchanged speeches. Zheng Qingjun, deputy director of Jining City Culture and Tourism Bureau, pointed out in his speech that since its establishment, the City Research Travel Association has studied the research and study subjects carried out in the city, formulated industry norms and standards, improved the professional level of the research and travel industry, and promoted the health of the industry. Orderly development has played an important role in promoting. 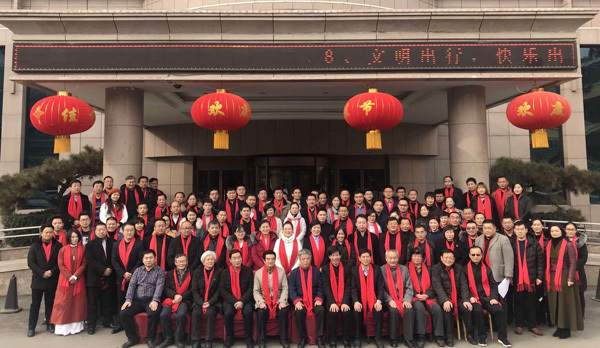 He hopes that the new year city research travel association can innovate and diversify the research and development model of tourism, and play the functions and functions of the association's service, coordination and supervision. To make more positive contributions to the healthy and orderly development of the city's research and travel!